In 1980, I had the first symptoms of UC, but it remained undiagnosed for the next three years, until I became very ill in Malta while on holiday. Back in England and after extensive tests, the cause of the trouble was revealed, much to my relief. For the next five years, I remained well, with six monthly checkups and Asacol tablets. Throughout this time, I continued to work as a chef whilst attending my local hospital. 1988 saw the birth of our much longed for son. Unfortunately, when he was twenty months old, the UC came back with a vengeance, and over the next year my condition gradually deteriorated. I had steroid enemas, oral steroids and any other amount of drugs, all to no avail. I now felt so ill that I begged the local hospital to operate on me, even if it meant having an ileostomy. I was continually fobbed off with various excuses as to why I should not have an operation. The pouch operation was mentioned during this time, and the local stoma nurse put me into contact with someone who had already undergone a pouch operation. He was a mine of information and told me about Mr Nicholls of St Marks, the surgeon who had performed his operation. I asked at my local hospital to be referred to St Marks, but was fobbed off yet again. Fortunately, my husband had private health cover for the family with his job, so we made an appointment to see Mr Nicholls at his private practice. By this time, I was very ill. After I saw Mr Nicholls, I had the operation to remove my colon within the week. I was too ill to have the pouch made at the time of the first operation. Over the next three months, I gradually gained weight, came off all the steroid treatments and learned to cope with a temporary ileostomy. I had the pouch fashioned by Mr Nicholls, again in a private hospital in London. Stage two was a very tough operation to get over. I felt very poorly for the next seven weeks until I had stage three (closure of ileostomy). It took months to get over all the surgery. In the early years I had the same problems as everybody else: sore skin, frequent trips to the loo and bowel obstructions. I sometimes wondered if it had all been worth it. There was no Red Lion Group then, and not a lot of information to be had.  I had a couple of contacts I made myself with other pouch patients, and I collected all the information I could relating to my condition and operations. Nine years further down the road, I am very glad that I have had the operation. The pouch has settled, I go to the loo five times in twenty-four hours and do not need any drugs at all. My one big problem however is that I have had seven small bowel obstructions due to adhesions. Thankfully, these have all settled in hospital without the need to be operated on again. My last one was two years ago and – fingers crossed – it will not happen again. I have had a few bouts of fairly mild pouchitis, which have cleared up with a course of Flagyl. I now have an active life, walking, cycling and generally enjoying myself. My diet is not too restricted: I can eat most things, but usually have several small meals a day. I find herbal tea very soothing, especially camomile, peppermint and ginger (all made by Twinings). I even managed to work again as a chef, but at the moment I am not working. One major drawback was the lack of counselling for my husband and son. A situation that I feel has still not been addressed enough. I am sure that this is all very familiar to UC and pouch patients everywhere. I find that my best course of action is to keep optimistic and to keep my sense of humour when things go wrong. I try to relax as much as possible, as stress makes my bowel problems worse. Things do get better in time, and I now thank God that I am alive. I look at my son who is nearly twelve and remember the times when I did not think I would live to see his third birthday. I am now an outpatient of St Marks where I go for annual checkups. This hospital specialising in bowel problems really is a “Centre of Excellence”.